Of all the muscle cars, the Challenger's back seat is the best. It's still worth a try to see if it's truly useful for your needs--and if your passengers can take the constant rorty exhaust noise. A comfortable touring coupe most of the time, the retro-themed 2012 Dodge Challenger can turn in blistering musclecar performance when it's got a HEMI. Today's Dodge Challenger is a brilliant recreation of the musclecar classic. 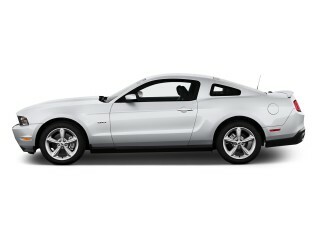 From all angles, it's the most faithful interpretation of the era, even when compared with the fat-fendered Chevy Camaro and the pony-embossed Mustang. There's HEMI power available under the hood, and good old rear-wheel drive. But the Challenger's also a comfortable touring coupe with an independent suspension and some of the latest tech features. With its broad expanses of flat sheetmetal, a classic long-nose form, and a vivid selection of colors, the Challenger channels the musclecars of the Sixties and Seventies nearly perfectly. If you're the right age, it's a warm blast of nostalgia, but even younger drivers can admire its modern, crisp lines without finding them cartoonish. 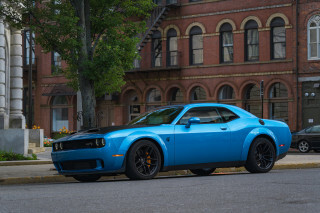 The SRT8 cherrypicks Challenger history for its add-ons, with deeper air dams and functional brake ducts, and options for a Ram air hood and various striping packages--even Stinger Yellow paint. That said, the cabin's a relative letdown, with a spare design that doesn't quite mesh with the exterior as neatly, despite the available pistol-grip shifter. Some highly visible, higher-tech features like a big LCD touchscreen detract from the vintage feel, but so does the interior's lack of excitement. 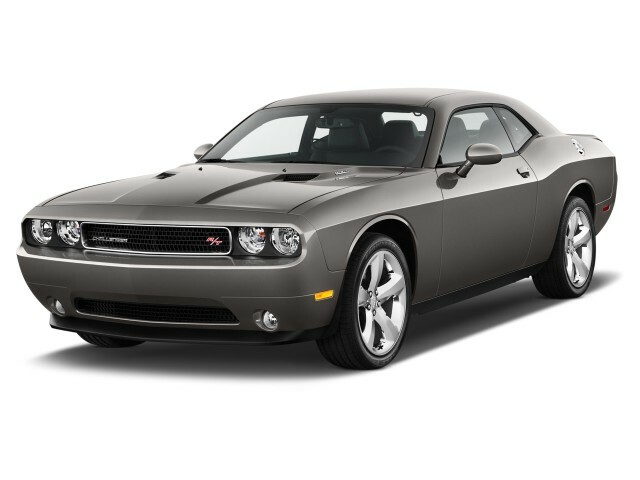 The standard-issue Challenger SE has a 3.6-liter V-6 with 305 horsepower, available with either a pistol-gripped manual transmission or a five-speed automatic. 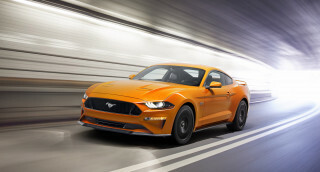 Performance isn't its top priority, but it's reasonably competitive with the base Mustang and Camaro, and the manual shifter is a good one, and doesn't seem out of place in the big Challenger. A big leap forward comes with the 5.7-liter HEMI V-8 found in the R/T model; it has 375 horsepower and a throaty, gorgeous rumble to go with it. It's the SRT8 that turns on the full blast of musclecar acceleration. Its "392" engine, a 6.4-liter HEMI V-8, barrels off the line with 470 horsepower and 470 pound-feet of torque, with either a manual or an automatic transmission. 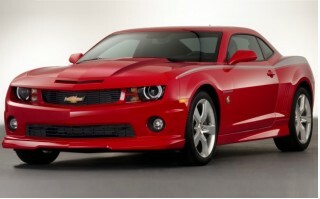 Fuel economy of up to 23 mpg in the V-6 is muted by the V-8 Challenger's numbers in the high teens. In all versions, the Challenger feels less nimble than today's Mustang, and even the wide, short Camaro cuts corners more crisply than the big Dodge. The Challenger weighs more and has a longer wheelbase, which translates into a bigger road feel that makes the Mustang feel lean. The Challenger's steering is too light and not as precise as it could be--it's outpaced by the latest Mustang's zippy electric steering--but the ride quality is very well damped. SRT8 models now offer an adaptive suspension with normal and sport shock modes, but we haven't yet tested one. The Challenger's size plays to its advantage inside. It's a magnitude more comfortable and quiet than its competitors, especially in front, where head room will be a revelation to Camaro drivers. The back seat is a bit more pinched, but still better than the Chevy, though leg room is minimal and visibility is too, the product of the Challenger's wide rear roof pillars. The trunk's huge: at 16 cubic feet, it's bigger than in some family sedans. Crash test scores are not available from the NHTSA and IIHS, but the Challenger does offer the usual gear, including a driver knee airbags and options for a rearview camera, Bluetooth and blind-spot monitors. 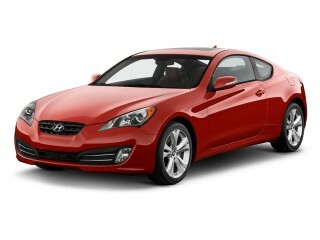 All Challengers come with standard climate control; power windows, locks and mirrors; a CD player; and cruise control. 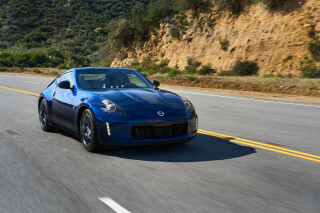 Major options include a navigation system with an easily understood interface; a USB port for media players; in-car wireless Internet, through a plug-in 3G dongle; a leather interior; and a sunroof. This year brings a new Harmon Kardon 900-watt audio system option, too. All told, a Challenger SRT8 can top $50,000, where it's either a considerable bargain compared to a classic Hemi Cuda, or a big premium over more modern sportscars from MINI Coupes to Nissan 370Zs. 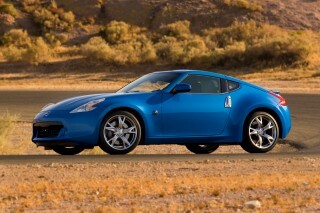 Just an awesome vehicle and a real pleasure to drive and it will go ... fast!